Twelve pages • six times a year • Item # VB 999 For over 21 years, serving Volleyball with latest conditioning information! 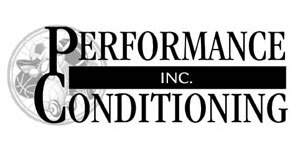 Now Featuring Top Collegiate and Club/High School Volleyball Conditioning Programs! Brought to you in cooperation with the American Volleyball Coaches Association and USA Volleyball Sports Medicine and Performance Commission. • The latest volleyball-specific information in this easy to use newsletter with charts and illustrations covering all 14 critical areas of volleyball conditioning including hitting harder, jumping higher and quicker court movement. • Improve power, strength/stability, balance. • Improve movement skills — flexibility, mobility, agility and footwork. • How to convert better athletic skill to better volleyball skills. • Learn what it takes to be a Volleyball Conditioning Specialist. • Discover circuit training for adding variety to conditioning training. • Learn simple field tests to measure your progress. • Position-specific conditioning considerations. • How to avoid injuries. • Develop in- off- and pre-season programs that work. • Special article coding system telling the appropriate training level based on a player's training age and event, indoors or out. • Plus, special features on sports vision, nutrition, supplements, recovery methods, volleyball sports medicine, science and more! PLUS Get the Elite Volleyball Conditioning Digest • Interviews — In-depth looks at today's latest conditioning methods and why they are done. • Questions and Answers — Most frequently asked questions about how the best train and why they train as they do. • Favorite Exercises of the Stars and Coaches — Glimpses of conditioning-related exercises done by top volleyball players to improve their performance. Presented in detail. • Scouting Reports — Learn what top coaches and player development experts look for when evaluating players. Plus, what a player needs to do to impress a coach, get noticed, and what areas they should work on.